I sat there very quietly at first, as the other moms shared their concerns about a policy direction the school ought to take in regards to the leadership selection process. As I listened to their hearts — and not just their words — I could hear the devastation they felt when a great kid, who was totally qualified, didn’t get “the spot.” They hurt for that student, and their peers, who didn’t know how to process the perceived injustice, and were rightly concerned over the impact on the community. As I thought about what I might contribute to the conversation, I felt like I had to pick which hat I was going to wear: Should I participate as mom of a current student, as a mentor to former ones, or as a member of this community for the the last 17 years? It turns out I couldn’t pick one because my whole experience of walking through disappointment with teens has shaped my opinion — an opinion that has shockingly changed over the years. I’ve learned that the more valuable prize is when a soul discovers she can persevere through disappointment, and not crumble in the face of it. Our teens will face disappointment in high school — whether it’s a student government election, getting cut from the play, losing the county championships, or not getting into the college of their choice. And as they graduate, disappointments will continue to come their way. You know them as well as I do. Disappointment is an opportunity to prepare our teens for the ones they’ll face later on. The reality is that our response to disappointment will inevitably shape theirs. We need to have a pulse on our God-given personalities and what has been modeled for us by our own parents and mentors. And we need to be sure that we not reacting out of our own unresolved disappointments. I know I’ve been guilty of doing this, and not recognizing it until my dear husband snaps me back to reality! We have to carefully guard our words about what we think of them, and those who are making the heart-burdening decisions, along with how we process God’s part in it all. But that’s not all! We gladly suffer, because we know that suffering helps us to endure. And endurance builds character, which gives us a hope that will never disappoint us. All of this happens because God has given us the Holy Spirit, who fills our hearts with his love. The Scriptures teach us that we will experience suffering and disappointment in this life, but not without purpose. God will use trials to strengthen our endurance and build our character. He loves us so much that He is willing for us to experience disappointment, especially if our pursuits have become our idols. God doesn’t want us “filled up” with our own achievements. He wants us filled up with His hope and wrapped in His love. And He will use disappointments as the opportunity to draw us…and our teens…closer to Him. So what if we saw the “disappointing road” as God’s training ground for our teens? What if we embraced their disappointments as opportunities to learn how to grieve, grow, and surrender to God’s sovereignty? What if we entered into the disappointment with them, not making it our own story, but being willing to stand side-by-side, praying over them and quietly, but boldly whispering reminders into their souls about God’s faithfulness? We need to seize the moment to walk on the suffering road together, because it's skill and a faith-walk they’ll need for the rest of their lives. So how will you face future disappointments with your teens? 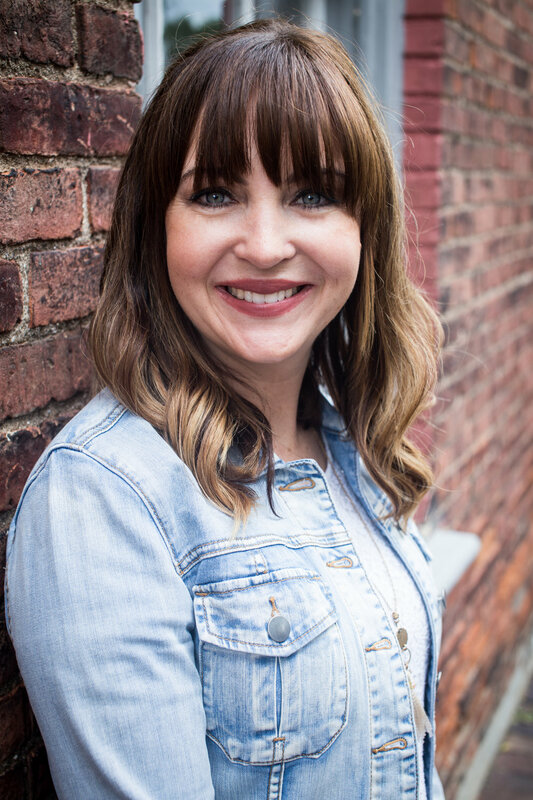 Elisa Pulliam is passionate about women experiencing a life transformed by God for the sake of impacting the next generation – a mission fueled by God’s redeeming work in her life and twenty-plus years in youth and women’s ministry. She’s the author of Meet the New You: A 21 Day Plan for Embracing Fresh Attitudes and Focused Habits for Real Life Change, which is a book designed to help women embrace a fresh encounter with God, and Impact Together: Biblical Mentoring Simplified. She is also founder of moretobe.com and tremendously enjoys working as a life coach and coach trainer. She considers her greatest roles as wife to Stephen and mom to four amazing children. Connect with Elisa at moretobe.com.